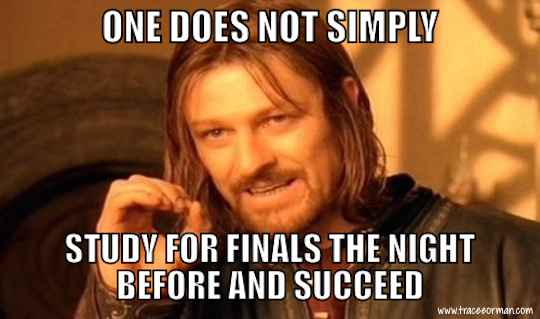 With the remaining three days of finals week, the only thing we’re supposed to be thinking about is studying. However, by now, with some students already finished with their finals, you may have experienced moments where your “freed” peers are too loud for you to get any work done. Let’s be honest here, the last thing we want to do is be studying, but changing up where you do it can give you the little jolt of motivation that you may need. The 18th Avenue Library is near and dear to north campus dwellers. With its three floors and hundreds of computers, it’s a great place to study. It’s also an amazing place gather with your friends because of its more conversation-friendly spaces. 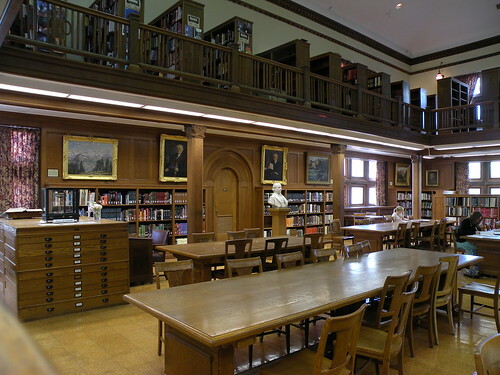 One example is the third floor, a place free from the scary “hear-a-pin-drop” silence of other library locations. This is a favorite place for many students and with approximately 1,800 places to sit, it’s the largest of Ohio State’s 12 libraries. It also has rooms that you can book in advance for you to study with your friends. When inside, be sure to check out the 11th floor’s spectacular view! 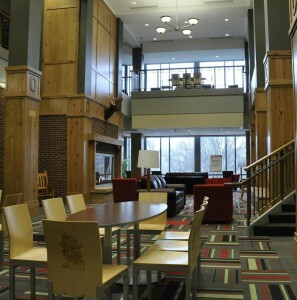 *Tip: The Buckeye Grand Reading room is a popular spot, so make sure that once you nag a seat you stay there! This corner of the Union near the resource room is a great spot to study. A ton of student organizations have their offices in this area, and generally, it is one of the quieter areas of the Union. There’s always stuff going on in the building, so you can grab a bite or see what’s going on around campus during your study breaks. In addition, if you ask the front desk within the resource room, you can rent out some of the office spaces in the leadership center for free. Orton Hall is the building with the famous bell tower. Within the building is a hidden gem, the library on the first floor; it is very homey and has the coolest little nooks to work in. In addition, it’s pretty small and quiet, so you won’t have to fear as many distractions. This can really vary depending on your major and department and on your teacher. However, for those who are taking larger lecture classes (chemistry or math), these areas can be great resources where you can study and get help at the same time. They centers vary by location and specific hours, so make sure to check with your professors, TA’s and class resources to see if one is available for you. For additional study spots and altered library hours check library.osu.edu. Happy studying and good luck with the rest of your finals! The transition into college life can be a stressful time, as there are plenty of changes that you go through. Many of the major transitions occurred within the first couple days: including doing your own laundry, getting your own meals, and being more independent overall. The next set of transitions we all face our first semester deals with academics. Some of us may have never needed to study, others may need to alter their study habits to acclimate to the college workload. Regardless of the changes you have had to overcome, we all go through a similar roller coaster of emotions our first semester here. The first week is full of nerves. It’s exciting to finally live by your own rules. This can also be terrifying. You might have experienced a broad spectrum of emotions on move-in day. 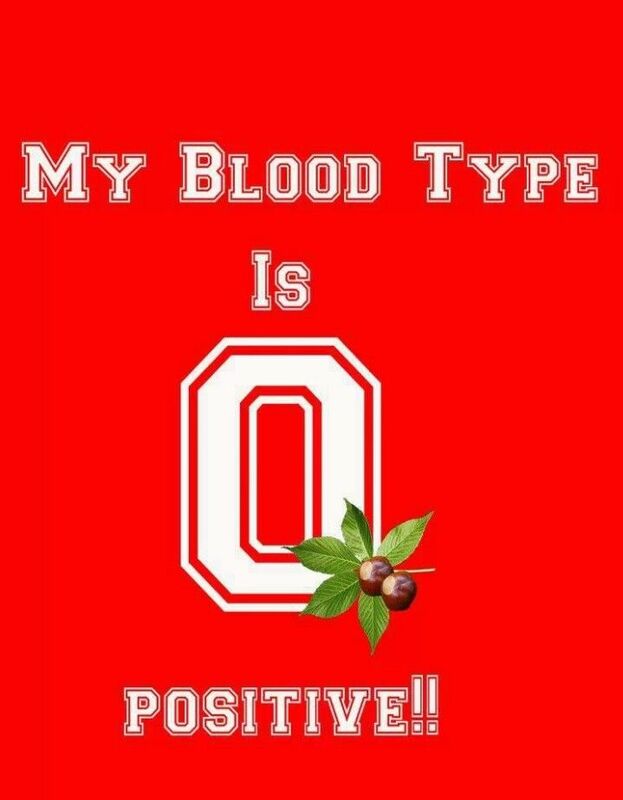 It might have been a little nerve-wracking making your way through all of the traffic and sitting in the car as you made the journey from the Schottenstein Center to your residence hall. Your parents may have been a little on edge knowing that they only had a couple more hours before they would be saying goodbye for a while. You most likely hadn’t met your roommate before move-in day and that in and of itself can be nerve-wracking — you will be spending a year in close quarters with this stranger. But the best thing about move-in day is that it marks the day you start making your own decisions about your daily routine. 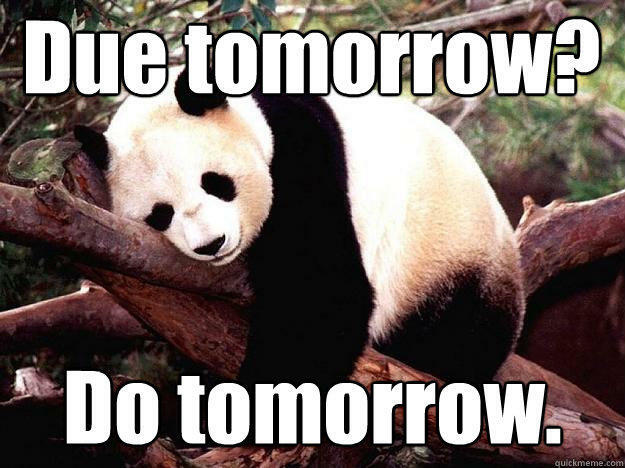 No one is there to tell you when to go to bed, nag you about studying, or tell you that you can’t stay out late. That’s pretty exciting! 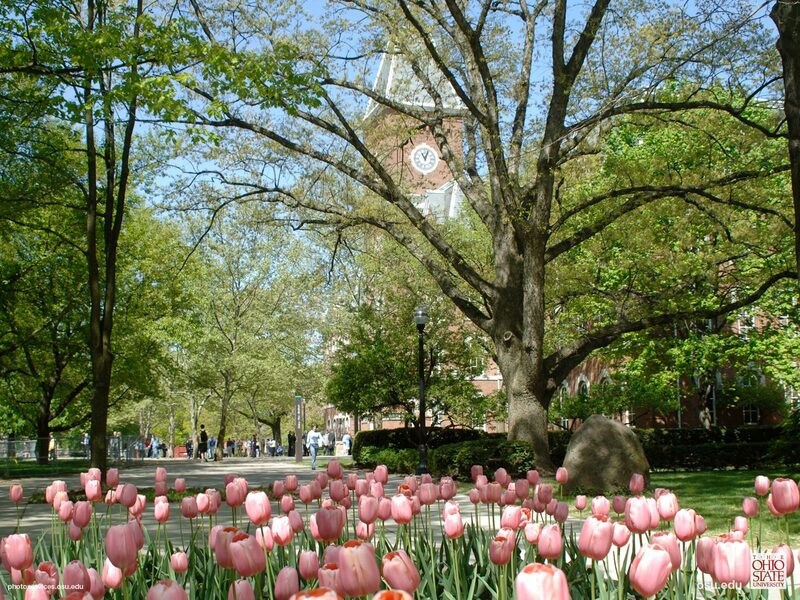 The first week also features all of the Welcome Week activities Ohio State has to offer. There were tons of events to go to including the student involvement fair (and there will be another involvement fair next semester). Then, midterms hit! Going into your first midterm you might not realize if you need to change your study habits but after your first week of midterms it will become fairly clear. If your study habits aren’t where you need them to be you can always go get help. The Dennis Learning Center provides workshops to improve your test-taking, note-taking, and studying strategies, just to name a few. Another great resource is your professors’ office hours. Don’t be afraid to use these to your advantage! No one knows what you should be focusing on better than your professor or TA and it can’t hurt to stop in and be more than just a name on a roster. If you haven’t felt homesick yet you might start to now. All the newness of college life has worn off. You have fallen into a routine and survived your first set of midterms. 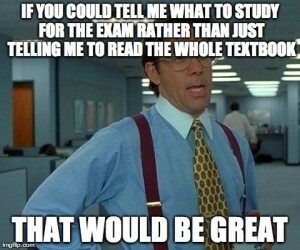 If your midterms didn’t go as well as planned, you might be a tad stressed about the rest of the semester. 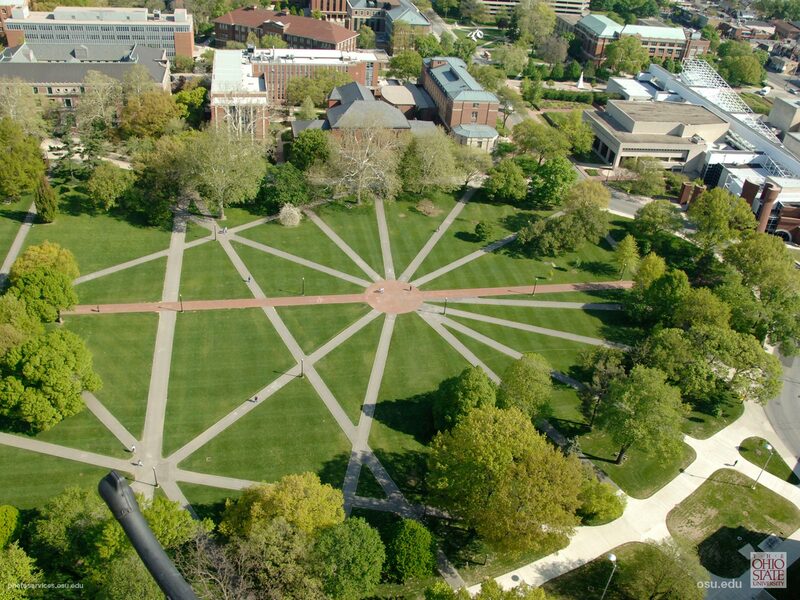 If you are feeling stressed and want to talk to someone, the Office of Student Life offers Counseling and Consultation Services, and you can get up to 10 free sessions as a student at Ohio State. Thanksgiving break is finally upon us! Not everyone goes home for Thanksgiving but for those who do it’s a nice break from college life. It’s nice to see family and beloved pets. Whether you go home or not, school is the last thing on anyone’s mind during this week. Thanksgiving break left us all with just a taste of what is to come in another two weeks. 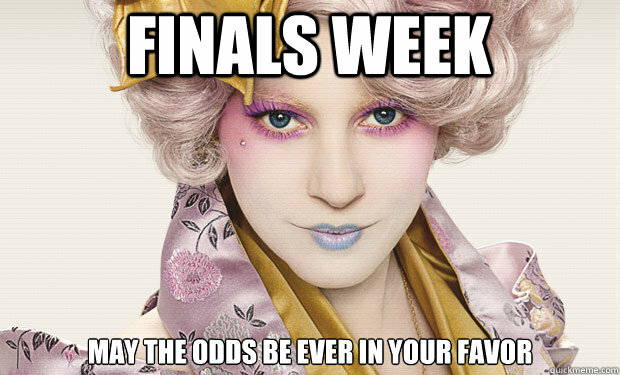 Winter break is extremely close, but we must first make it through the last week of classes and then finals. Studying is the last thing anyone wants to do. It’s cold outside, it’s the end of the semester, we just want a break. 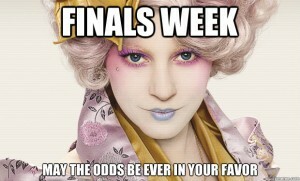 The beginning of finals is upon us! We have made it to the home stretch. 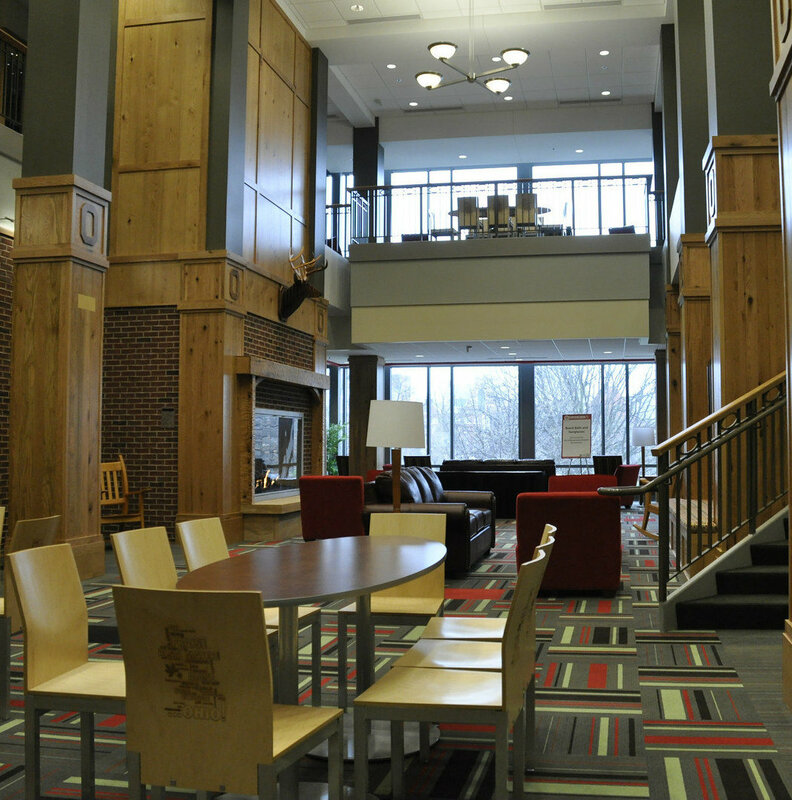 Ohio State offers tons of opportunities to take some much-needed study breaks. Keep your eyes peeled for different ways to relax. In previous years they have had therapy dogs come to Thompson Library. What’s more perfect than playing with puppies? Remember to use your resources while studying! Go to tutoring sessions, go to office hours, form study groups, and take breaks! After finals, enjoy your break! You deserve it! We’re at that point in the year where we can see the end of school. Classes are finished in less than a month. But, we’re also at the point where it feels like every instructor is cramming in a million more group projects, papers, midterms, etc., even though finals are right around the corner. Here are some tips to help you remain sane through the end of April. Make sure you take a few minutes for yourself to just walk around campus, get a coffee from Starbucks, or just enjoy the nice weather on one of those days when it decides to be 60+ outside. With all the hard work and stress that the next few weeks will bring, make sure you have time to reward yourself for your hard work. Whether you Skype with a distant friend, play some video games, or watch funny YouTube videos, just make sure you reward yourself. You may be thinking, “How am I supposed to have time to exercise when I have to study for five tests, write nine papers, and complete four group projects?” Trust me, even just a few minutes of exercise will make you feel so much better. If you want to exercise, but also want to accomplish something for school, bring your book or notes to the gym to study while you’re on the treadmill or while you’re biking. You will feel reenergized once you’re done. Even if it’s only for 20 minutes, try to get some exercise. Sometimes you just need to take a break completely from what you may be doing to get a new perspective or to get reenergized. A great way to do this is to attend an athletic event at Ohio State. There are baseball games, softball games, track meets, the football spring game (April 12; free to students), and many other athletic events that will occur during these last few weeks of school. I know the athletes would all love your support and it would be a great way to take a break from studying. One suggestion to help you feel less overwhelmed these last few weeks is to make lists. This simple concept may sound silly, but it will make you feel better! Make lists of the things you have to do. As you complete them, make sure to cross them off on the list — you will feel great that you are accomplishing something, even if you have a million more things to do. At certain points, make sure you set rewards for completing so many things on the list. This will encourage you to continue to work hard and not get too frustrated. If all else fails, make sure to breathe. We have roughly five weeks left (including finals). Just think: we are so close to summer. If you need an incentive to study hard for finals, just think about how great summer will be when you find out you got better grades than you thought because you studied so hard!